The Telford Unit reports by far the most assaults on staff of any state-run lockup and has one of the highest rates of understaffing. 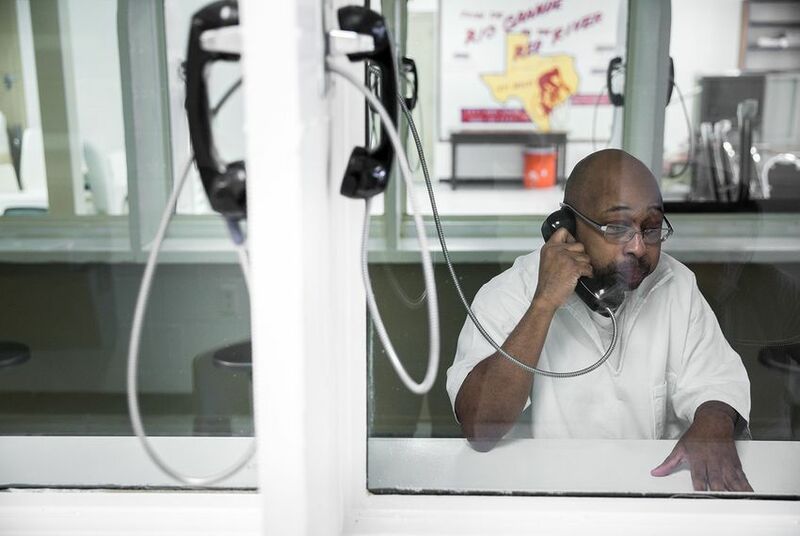 Take a look inside the northeast Texas prison where guards and inmates alike are suffering. NEW BOSTON — By many accounts, the Telford prison is in trouble. In recent interviews, inmates claimed they were malnourished from being fed small, sometimes rotting sack meals in their cells and rarely got to go outside. And former correctional officers said they felt unsafe, forced to cut corners and work too much overtime in a unit that holds more than 2,500 men. The problems at the maximum-security prison — tucked away on the outskirts of this small town in the northeastern corner of Texas near Texarkana — are largely blamed on a shortage of guards. In April, the prison employed only 65 percent of the full-time correctional officers it’s authorized to have — a shortage of nearly 200 — according to a Texas Department of Criminal Justice spokesman. That’s one of the highest officer vacancy rates in the state. Telford also consistently reports more serious assaults on staff than any other prison in the state — including the 2015 murder of correctional officer Timothy Davison by a man who had committed multiple assaults against officers while serving two life sentences for burglary and aggravated assault. Since Davison’s death, the number of vacant officer positions at the unit has skyrocketed. 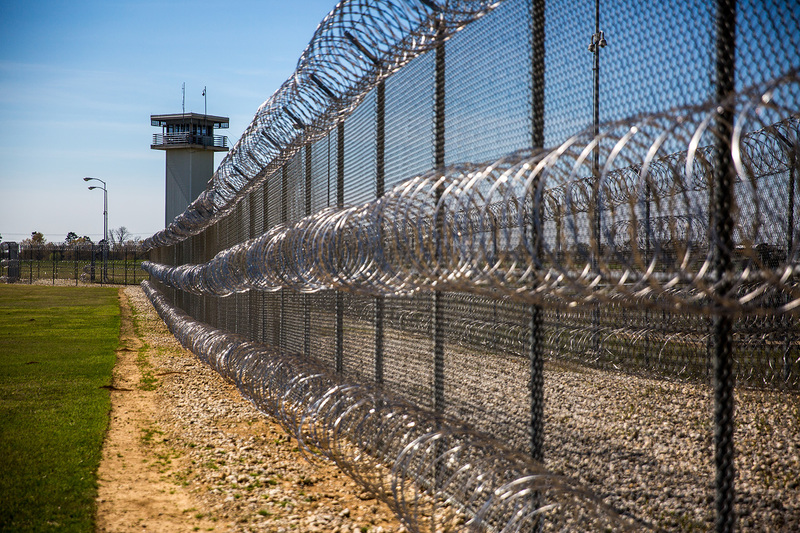 Telford is an extreme example, but the problem of understaffed prisons reaches across Texas. Out of about 26,000 authorized correctional officer positions, state-run prisons were short nearly 3,700 in November, and nearly three of every 10 officers left during the last fiscal year. That 28 percent turnover rate was “the highest in recent memory” according to Texas Department of Criminal Justice Executive Director Bryan Collier’s statement in a departmental newsletter. Last fall, a teacher working in the Ferguson Unit north of Huntsville said an inmate raped her; there were no officers in sight and the prison had a 25 percent officer vacancy rate at the time. Her lawyer has said he plans to file a federal lawsuit this month that blames understaffing for her assault. Other states are also struggling to staff their prisons and suffering the consequences: At one South Carolina prison last month, the 44 officers guarding about 1,500 inmates waited for backup for more than four hours when a gang fight erupted into the country’s deadliest prison riot in 25 years, leaving seven dead and another 22 injured. 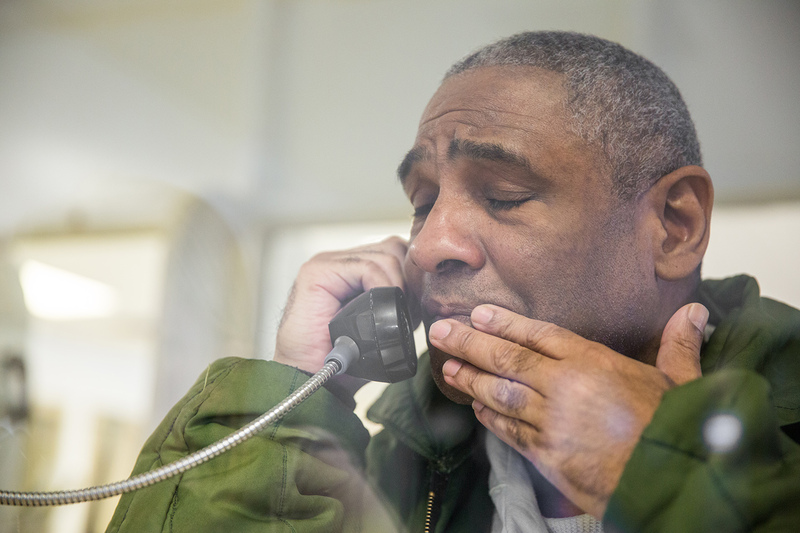 “There’s probably no aspect of prison operations that’s more important to safety than appropriate levels of staffing,” said Michele Deitch, an attorney and senior lecturer at the University of Texas at Austin who studies prison conditions. TDCJ’s spokesman, Jeremy Desel, said that adequate staffing is an important part of maintaining as safe an environment as possible in prisons. But he said the department does not believe staff assault rates — which fluctuate from year to year statewide — are related to staffing numbers because it has not been able to make a specific correlation between the two. Still, the department is trying to address the problems at Telford. Several weeks ago, the department began moving nearly 400 inmates who require higher security and have a history of disciplinary issues from Telford to other prisons throughout the state to ease the burden on the unit’s officers, Desel said. And in the last month, administrators began temporarily rotating in employees from across the state to fill in the gaps. Collier has blamed the department’s recent dwindling officer ranks on a booming economy that gives potential hires more attractive job opportunities than what prisons can offer. Before February, rookie officers were paid about $34,000 in their first year for a job that comes with the daily risk of getting spit on, doused in urine or feces, and even beaten. The department has responded by upping that starting pay by about $2,000 a year and increasing signing bonuses it offers to those assigned to especially understaffed prisons. But at Telford, inmates and officers alike say the problems run deeper than the officers’ pay or the inmate population. During his more than 25 years as a prisoner in Texas, Omar Edwards said he has been locked up in nine different prisons, landing at Telford in 2014. In a recent interview with The Texas Tribune, he said the meager diet, the morale and the leadership make this prison the worst. Davison had been working for the Department of Criminal Justice for only about seven months when he was beaten to death. The 47-year-old father of two was working in the highest security area of the prison, where men are kept in isolation. When Davison opened the door to Billy Joel Tracy’s cell, Tracy slipped free of his handcuffs, knocked Davison to the floor and pummeled him with a metal bar used to open cell door food slots. An internal investigation found that Tracy’s handcuffs weren’t fully secured, and a second officer who was supposed to be nearby wasn’t around. Tracy was sentenced to death last year for Davison’s murder. Last year, Telford reported 11 serious staff assaults, meaning more than first aid was required, according to data provided by the department — the most of any prison in the state by far. Former officers interviewed by the Tribune said assaults on staff have often happened after someone wasn’t following protocol. “The offenders start to … I won’t say run the prison, but standards and policies aren’t enforced,” said the former officer, who quit last year. He and another former officer said prison staff didn’t follow the rules even after Davison’s death, partially because of the lack of officers. The shortcuts they described included skipping strip searches before moving men classified as potentially dangerous, not fully securing handcuffs and often failing to have the required two officers when they moved a high-security inmate. The former officers described fellow officers being jumped and stabbed by inmates at Telford after protocol breaches. The inmates are suffering, too. Interviews and correspondence with numerous men locked up in Telford and their loved ones indicated that for months the men were being kept in their cells most of the day, rarely getting to go outside, and being underfed with small sack meals instead of being allowed to go to the dining hall. Food was the loudest complaint. Though many are able to afford food from the commissary — the prison’s store — they said it’s not accessible during lockdowns, when inmates are restricted to their cells for security reasons or routine searches for contraband. In the last year, the Telford Unit was on lockdown for about 100 days, according to the department. Inmates said they’re often fed in their cells between lockdowns as well, and the staff says it’s because they're spread so thin. After an inmate’s wife complained to the prison about inadequate food in the sack meals, the department responded in a November letter saying that all meals, whether prepared hot in the kitchen or passed out in bags, fulfilled the required calorie count. Desel responded to the allegations by stating that the agency follows federal dietary guidelines in planning nutritionally-balanced meals. But many of the men inside contest that, claiming symptoms of malnutrition and significant weight loss. Theodore Streater, a 56-year-old who was locked up at Telford for about a year and a half, told the Tribune in March that for months the men mostly got small peanut butter and jelly or "mystery meat" sandwiches three times a day, brought in bags that sometimes contained cockroaches or the signs of being gnawed by rats. There were no vegetables, and meat was often spoiled from sitting out too long. He said hot meals, which used to be the norm, had become the exception. Shortly after his interview with the Tribune, Streater, who’s serving a life sentence for aggravated sexual assault of a child, was sent to the prison’s hospital unit in Galveston to undergo surgery for heart disease, according to hospital records. Winston Barnes is expected to be released from prison in July after serving four years on theft charges. His wife frets over his weight loss since he was transferred to Telford in September, saying their 11-year-old son is now bigger than her husband. In a recent interview at the unit, Barnes said he has no complaints about his time in prison — except for the lack of food. Though correctional officers may not be overly sympathetic — “It’s prison,” one said — keeping the men in their cells most of the day and feeding them sack meals weighs on them as well. Most of the cooking and cleaning is done by inmates, so when they’re locked down, that work falls to the staff. On top of the extra work, officers at Telford are putting in lots of extra hours because of the staffing shortages. Overtime isn’t a perk; sometimes it’s a requirement — a situation that can be unsafe as well as inconvenient. Desel, the TDCJ spokesperson, said in times of need — like at Telford — a warden can assign mandatory overtime as long as an officer doesn’t work more than 10 days in a row or more than 16 hours in a day. A second former correctional officer said all the overtime was a main reason he quit his job at Telford in January after a little more than a year. The officer — who also wished to remain anonymous to protect his friends at the prison — is a father of two young children and estimated he was working 24 hours of overtime in an eight-day cycle on top of his regular 48 hours. With more staff arriving from other prisons and high-risk inmates being shipped out, inmates recently reported some improvement in the food and recreation situation. But they say change has been inconsistent, and they're concerned that when attention turns away from Telford, the same problems will come creeping back. "The question is, will the unit be able to consistently function when these officers are reassigned back to their units?" Edwards wondered in a recent letter. Lance Lowry, a prison sergeant in Huntsville and former union president, said the seeds of Texas’ prison staffing problems were planted in the 1990s when prison construction exploded — part of a nationwide trend stemming from a “lock ‘em up” political atmosphere that followed rising crime rates the decade before. 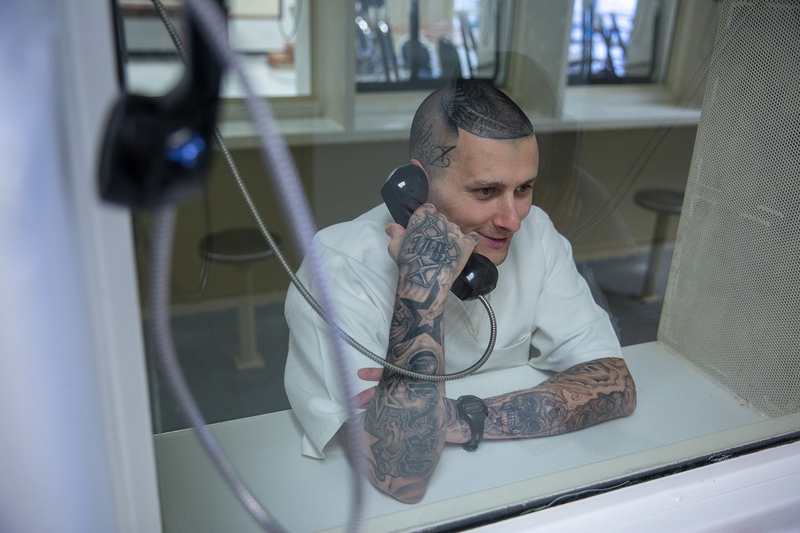 Between 1990 and 2000, the state built about 75 new lockups — many of them in small, remote towns — with enough cells to hold more than 110,000 additional inmates, according to data from the Bureau of Justice Statistics. “State leadership doled out prisons as economic stimulus for rural communities, but the pay was never there to attract staff to sufficiently maintain these units,” Lowry said. But the Texas system was faring pretty well by 2010, two years after the great recession began. According to the agency’s annual review, prisons had less than 1,000 open correctional officer positions at the end of that fiscal year, when unemployment in Texas had soared to 8 percent. Since then, the state’s unemployment rate has steadily decreased, hitting a record low of less than 4 percent in 2017, according to the U.S. Bureau of Labor Statistics. And Texas prisons have seen their staff vacancy rates creep upward. “Historically, the (prison staffing) challenge has been greatest when the Texas economy is growing and unemployment is low,” said Collier, the TDCJ executive director, in a newsletter. Prisons have to find people willing to work dangerous jobs in small towns. “I don’t know how many people from Dallas or Houston want to move to New Boston, Texas,” Lowry said. They also face competition for workers from a revived Texas oil and gas industry that’s dangling much higher pay to largely the same labor pool, according to Deitch. That’s why TDCJ has put extra focus on recruitment: They’ve done job fairs and advertised higher salaries for new officers — who can now earn more than $36,000 in their first year along with up to $5,000 in hiring bonuses to work at severely understaffed units like Telford. These new recruits are crucial for the prison system: First-year correctional officers have an even higher turnover rate than the profession overall, Collier said, so keeping new employees from quitting can have “a very significant impact” on vacancies. But at Telford, the staffing shortages continued to grow. Since August, the prison's staffing rates have dropped by 9 percentage points, triggering the administration’s move to rotate officers in from other units throughout the state for short stints. Though Desel said the administration is exploring more retention programs like mentorships and management training, the larger emphasis on recruitment over retaining more experienced staff has drawn some criticism from officers like Lowry. “Ever since Timothy Davison was killed, there’s been a mass turnover” at Telford, Lowry said. “When you have a high staff turnover and an influx of new officers who don’t necessarily know what’s going on, that’s a volatile combination."